Finished with work a little early at a supplier in California on Thursday. Headed down to Long Beach to look around. 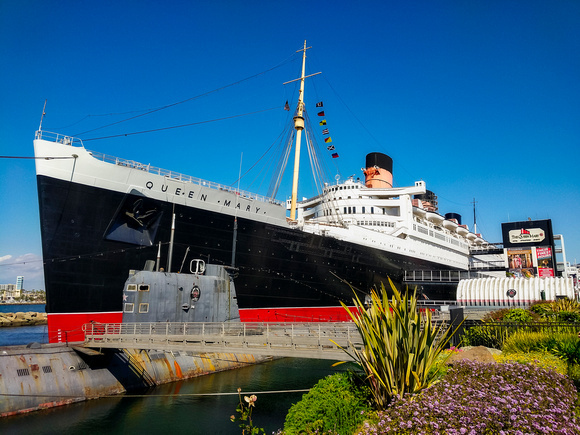 I was able to get over to see the Queen Mary up close and personal. I wasn’t sure if I needed the tour but being that close to the ship was pretty darn cool. The sub next to the Queen Mary is a Soviet sub which patrolled the Pacific for 22 years during the Cold War.